Handwriting is a struggle for many kids. There are many tricks and tips that can work for kids when they are completing written work. The thing is that some strategies work for some children and something totally different is a success for other children. Handwriting difficulties can be a result of many different issues. From visual perceptual difficulties to pencil grasp concerns, to visual motor integration problems...handwriting is a complex task with many skills working together. Today, I have an exciting freebie for you. 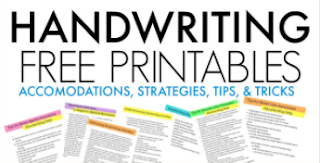 I have compiled strategies, tips, and tricks for common handwriting concerns. You might have seen our easy handwriting series recently. 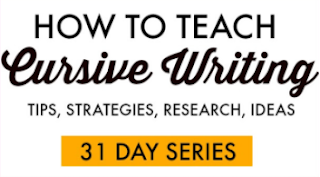 If not, be sure to stop over and check out 30 easy strategies for helping with handwriting difficulties. For more information on helping kids with handwriting issues, join us in the Sweet Ideas for Handwriting Help Facebook group. I would love to see you there! 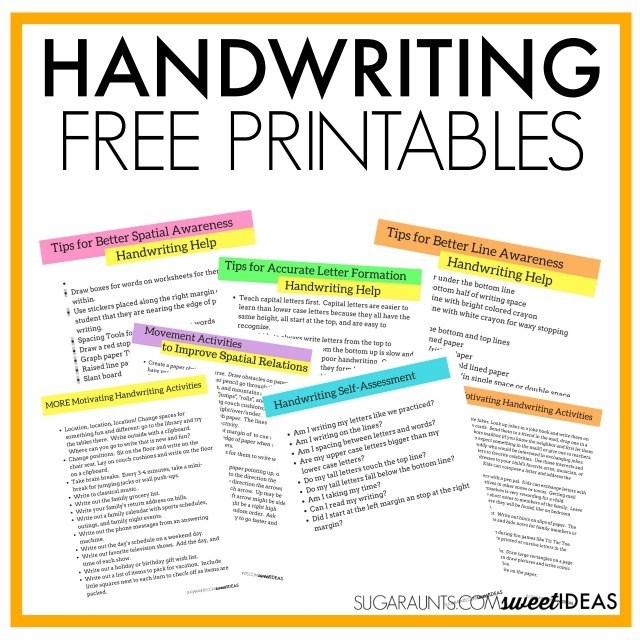 These free handwriting printables are perfect for trying different strategies to help kids with handwriting needs. 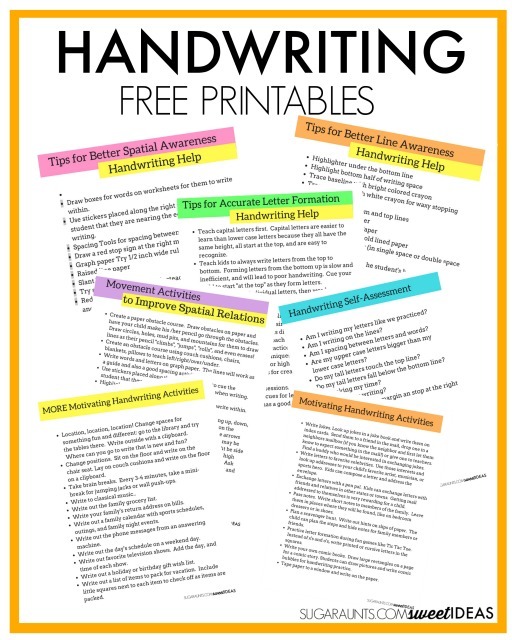 Each printable page can be copied and presented to teachers, parents, colleagues, and any one in the classroom or therapy setting who works with the kids with handwriting needs. 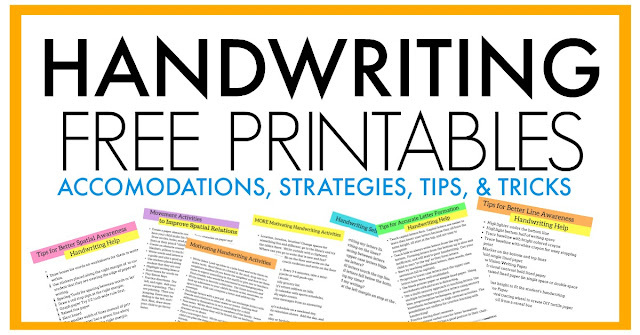 Try using these printable strategies to help with many different handwriting concerns. 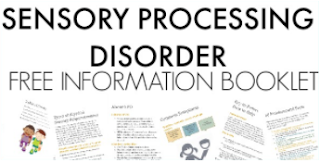 The printables will arrive in your inbox over a 6 day period. Each day, I will share specific tips related to common handwriting challenges. 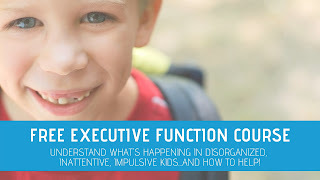 There will be lins to address these problems in creative ways and Quick Tips for the targeted handwriting issue and Fine Motor Development. This is Handwriting Help for anyone who works with kids! Enter your email to subscribe and get the email series with free printables. I hope you join us for 6 days of handwriting help, delivered right to your inbox!